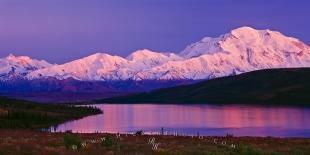 RSS Feed for keyword: "Alaska Pictures - Photos of Alaska"
Here you will find a vast range of Alaska Pictures, photos and Alaska Photography. Alaska is one of my favourite places for a vacation and for photography, it offers a diverse range of activities for travelers including adventure travel, wildlife tours, glacier tours, kayaking, photography and much more. Alaska is also a premier cruise destination, and there is a wide variety of shore excursions available for Alaska cruise passengers who visit this area on their vacations. Alaska travel offers exciting experiences, from the far north (arctic) in the mid of winter with the spectacular Northern Lights dancing overhead, to calving glaciers, and serene fjords in the southeast of Alaska. 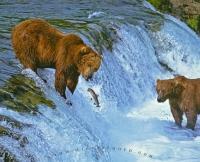 I have an extensive archive of Alaska Pictures which show the beauty of this spectacular state, also named the last frontier. 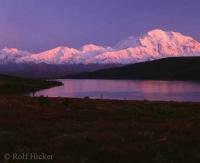 Enjoy our pictures of Alaska and real Alaska Photography! 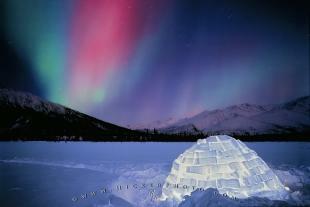 Interesting Photo galleries related to "Alaska Pictures - Photos of Alaska"
Northern Lights dancing above an igloo on a cold winter day in northern Alaska.